I have a lot of makeup brushes! I tend to rotate between my brushes so I feel like each one gets a good use, but that means I have a lot to deep clean. 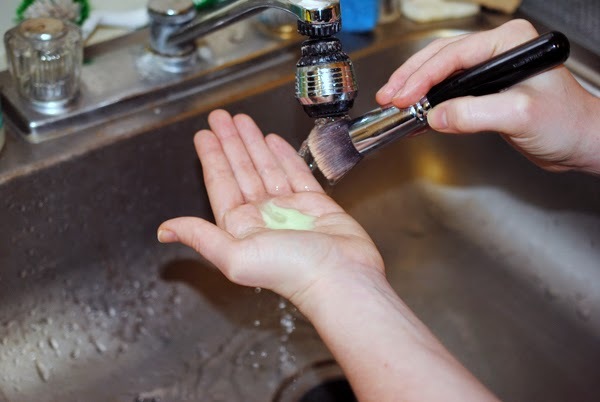 I've read tons of tutorials on the best techniques and products to wash makeup brushes, and I'm now ready to share my tried and true method. I try to deep clean my brushes every week, especially the brushes that use cream or liquid products, as those build up bacteria fast! I like to pour about a tablespoon of Dawn and just a drop of olive oil on a plate or a bowl, or the palm of my hand. 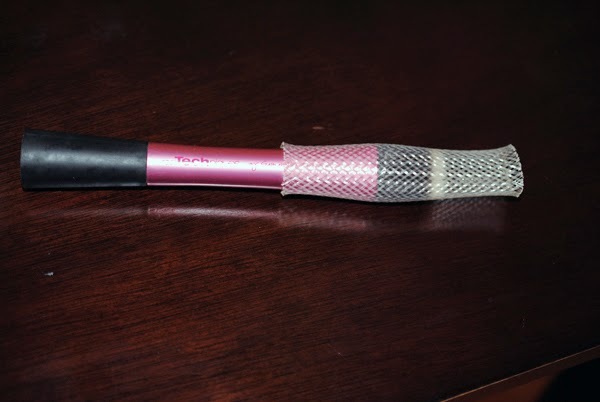 Then I wet the brush under running water making sure not to get the metal ferrule of the brush wet, as that would loosen the glue keeping the bristles together. 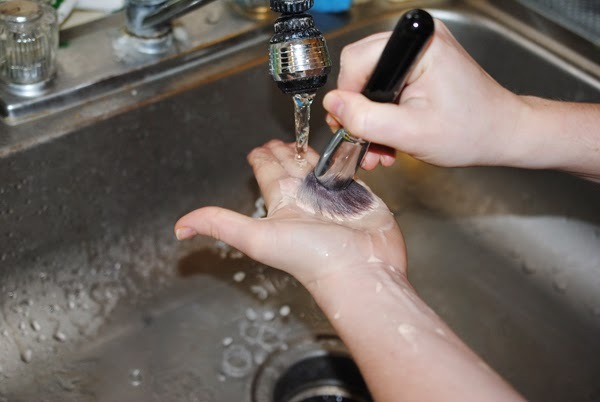 With the water running, I swirl the brush around my palm until the water runs clear and squeeze the water out gently to make sure there are no soap bubbles. For those really dirty brushes (especially ones I use for liquid foundation), I swirl the brush first in a small bowl of olive oil, work the oil into the bristles, then do a regular cleaning with Dawn soap. I learned that new tip from Fleur de Force! 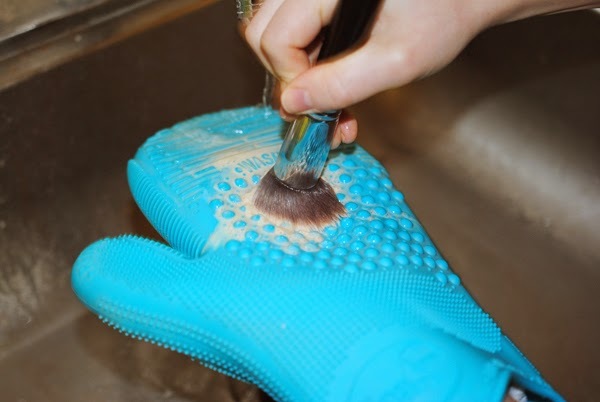 Since I have so many brushes, a few months ago I shelled out the $35 for the Sigma Spa Brush Cleaning Glove, a dual-sided glove with different textures for face and eye brushes. If you're like me and have quite a collection, this is a must! It makes the whole process go much faster, and does give the brushes a deeper clean. Most people don't need this, but I love it! After squeezing out the water, I slip on some Brush Guards. They allow the brushes' bristles to dry and keep their shape. When my brushes dry, they're like new! 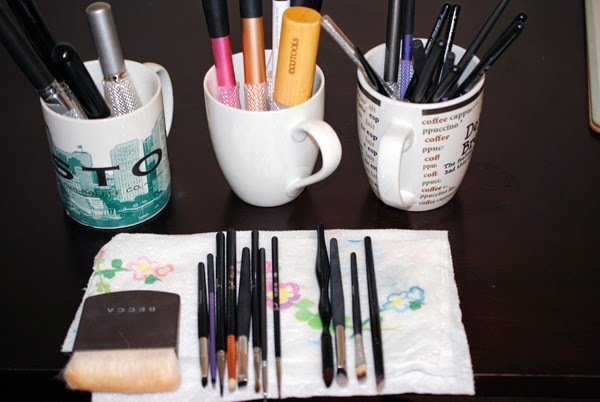 and place my brushes upside down in coffee mugs to make sure all the water comes out of the bristles. Any other brushes I don't have Brush Guards for I just lay flat to dry. The denser face brushes take the longest to dry (2 days sometimes). If you have only a handful of brushes, I recommend doing a deep cleaning a day before you know will be a no-makeup day. 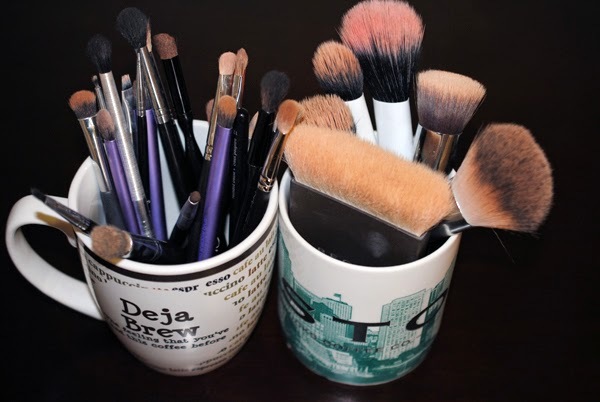 What are your favorite ways and products to wash your makeup brushes?